In mechanical engineering and automation, nobody enjoys this fiddly work on the wire harnesses, coating printed boards or screwing together equipment. But! 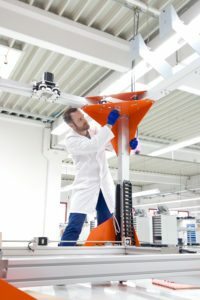 Technical know-how doesn’t grow on trees, so a good mechatronics/electronics technician and industrial engineer responsible for a project, coordinates, controls and keeps the project together. 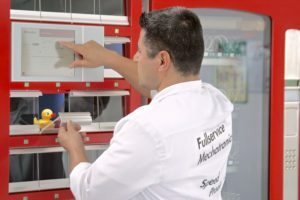 In other words: “They are the Emsmen for everyone” Today we show you the relationships and main process advantages in the interaction of mechanical engineering and automation with electronic manufacturing services (EMS). Due to the multitude of different manufacturing topics in the field of mechanical engineering and automation, parallel access to several providers via network planning technology is often required without significant buffer times. Consequently, long transport routes, supply dependencies and a high degree of intermediary and communication work influence the costs. It is precisely these influencing factors that are minimised by choosing a good “Emsman”: They are the coordinator, individual or combined trades that can be precisely inserted into the workflow of a mechanical engineer. – not to mention coordination work. The industrial engineer uses the parts lists drawn up and their close contact with the client to inform and supervise the departments involved, starting from hardware and software development, to PCB assembly, wire harness assembly, control panel assembly through to assembly of ready to deliver equipment. During the course of the development and production of a removal system for C-class parts, the industrial engineer receives parts lists from the person responsible in the department when the hardware development takes place. The engineer arranges for the electronic components for the printed board SMT and THT assembly to be ordered. The components for the wire harness assembly and box build were ordered at the same time, to ensure that the machine passes smoothly through the entire production process. The software development department generated the switching operations in the machine, programmed graphic interfaces and implemented the fully-automatic link to the customer’s stock management via mobile data transmission. Printed circuit boards and cables were produced in the same factory and coordinated with each other, finally assembled in the box build department and delivered worldwide as logistical third-party business. This project includes, e.g. Hybrid cables were also assembled for the customer. They are a special form of motor cables with an encoder cable integrated in this motor cables, a visible space saving and thus a cost saving solution. The main attraction of involving an EMS part production company is the direct and personal consultation in the event of any difficulties that arise or if there is a need for optimisation along the entire value adding process without interrupting the process along the main chain. For example, the production manager can immediately arrange any necessary corrections to the precision coating with the coater, to directly check the effects on the assembly. “The person for every eventuality – the Emsman” finds the ideal solution through fast information feedback from the trades and finally from the final assembly department. Before the acceptance inspection, the box build department performs a software-aided functional test in the assembly location, as well as testing the electrical safety of the machine. 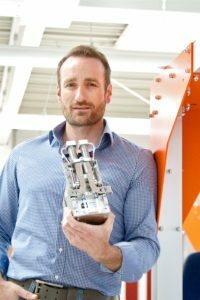 The Lacon Group undertook the complete industrialisation for the supplier of a 3-D printer for applications in prototyping, design studios and architecture firms. Apart from preparing the required drawings, parts lists unsuitable for purchasing and production were structured, checked and added to. The material procurement was optimised, for example, surface and material information was missing originally. Production documentation and instructions and comprehensive test procedures. Working closely with the mechanical engineer, the electrical design through to readiness for series production also took place in-house using the intelligent EPLAN P8 tool. This software enables cross-project use of already created parts lists with electrical components, which is an advantage, especially for new projects. EPLAN is used to forward the designed circuit diagram of the control panel including ready for purchase parts list to the person responsible for the project. This development of the 3-D printer during the project only includes design of customised components. The responsible project manager regularly discussed and agreed our in-house production requirements with the customer. As communication between the module production trades took place in the main EMS factory, delivery periods (scheduled dates are fixed, no reduction, etc. possible) were reduced by around a fifth. In this way, several minor sources of error were also quickly discovered and corrected. Cooperation between colleagues in the box build and mechanical design departments was fast and flexible. Special equipment for measuring, assembly and occupational safety were needed at short notice and could be ordered directly using a drawing produced in-house. Automatic machining of the control panel took place in the machining centre – following one-off programming. Production of small series and larger, including prototypes if necessary, is customised and flexible. Finally, in the box build department, precision work is required for assembly with micrometre accuracy. Lacon also undertook the commissioning and long-term printer tests including acceptance records. The logistics department built specially produced transport boxes, around 3x3m in size. Purposeful streamlining of the mechanical engineering process chain took place in the special topics of electronics production, mechatronics expertise and last but not least in the box build department itself. 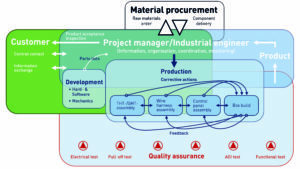 The organised and coordinated interaction of general trades in assembly line production does not show its strengths until the closed loop of assembly – cable – equipment. The quality assurance is there to hand with each production step through the entire EMS building. A complete inventory count of all modules is obligatory for the final acceptance. Each industrial engineer is there to provide advice and support for their projects from the start of the development phase. Through central responsibility – implementation is placed in “their hands” – their customer can rely on full commitment until the optimum solution is found. However, no process step is taken without the customer’s consent. The good feeling of calm is imparted to their customers by a good EMS partner through reliable coordination and supervision by a person responsible for the project, who at the same time functions as a control unit between the individual trades as well as being the central contact for the customer. Industrious and with full EMS experience, they are directly, quickly and flexibly the person for all eventualities. The Lacon Group therefore not only sees itself as a service provider for many, but also as an EMS partner for mechanical engineering. In addition to 30 years’ experience and extensive know-how, it also makes a significant contribution to the customer’s well-being – by imparting “the feeling of calm”. This entry was posted in Contract Manufacturing, Contract Manufacturing, Contract Manufacturing, Europe, Global, North America, On Ticker, top articles, UK. Bookmark the permalink.